Pink Lemonade: Be Cautious when Buying Gift Cards this Season! Be Cautious when Buying Gift Cards this Season! Gift Cards are some of the easiest gifts we can give as a Holiday gift - they don't send us over our budget and the recipient can choose any gift they want. Seems like a win-win for everyone, doesn't it? Well, it could be a lose-lose this Holiday season if you aren't careful about which stores you buy your gift cards from. With the economy in a downward spiral, retail stores are closing by the droves. But what happens to your gift card if the store goes out of business? If there isn't another location you can visit, you're simply out anything you may have spent. Disney closing 98 stores and will close more after January. Ethan Allen closing down 12 stores. So this year as you scour the stores for "just the right gift", think twice if the "right gift" is a gift card. 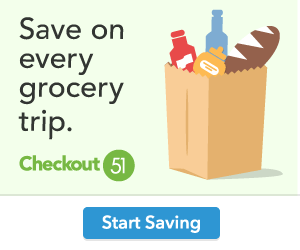 Instead, opt for a universal gift card such as an American Express or Visa (prepaid cards only good for the amount you choose)- these are available just about anywhere (grocery stores, convenience stores, you name it). 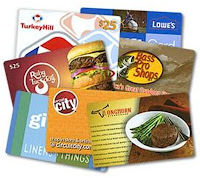 These can be used at any store, however, unlike most store gift cards, these cards do expire and usually after six months they start incurring a fee per month on unused balances (usually, around $2 per month will be deducted form the cards balance until the card is either runs out of funds or it is spent). I've heard about this, it's crazy!